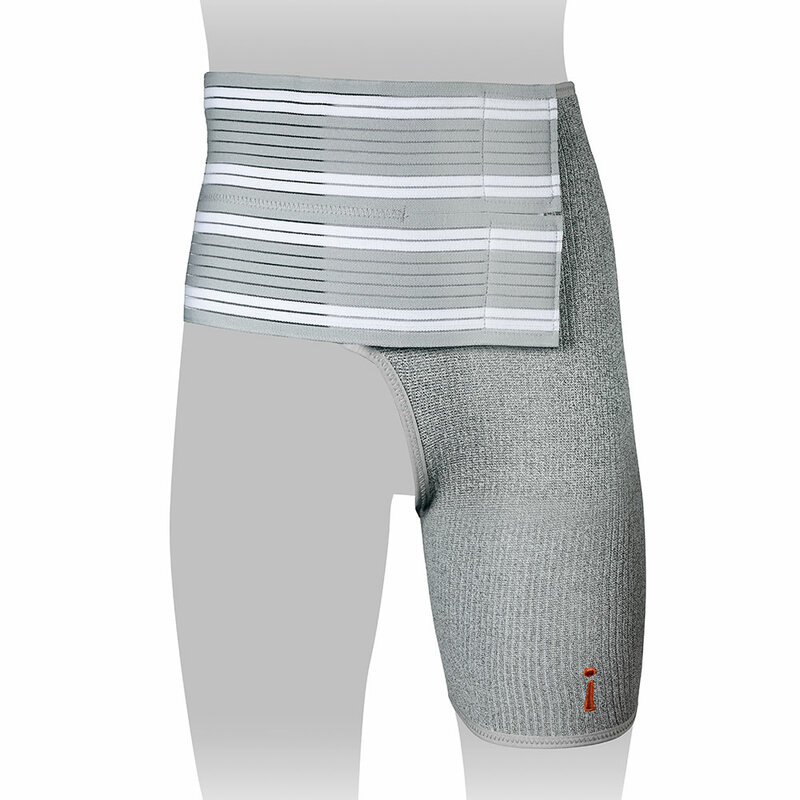 This is the hip wrap that releases negative ions to increase blood flow, reduce pain, and accelerate healing. Its fibers are infused with Germanium, a natural semi-conductor, that releases negatively charged ions when stimulated by body heat. The negative ions activate cellular vibrations, that improve circulation and encourage oxygen flow to the targeted area. Ideal for helping treat pain associated with arthritis, tendonitis, neuropathy, sprains, or discomfort after surgery, the soft breathable sleeve wicks away moisture and can be comfortably worn under clothes. 54% polyester/23% nylon/21% rubber/2% spandex. Machine wash and dry. Imported. Gray. Specify left or right. S, M, L, XL, XXL. 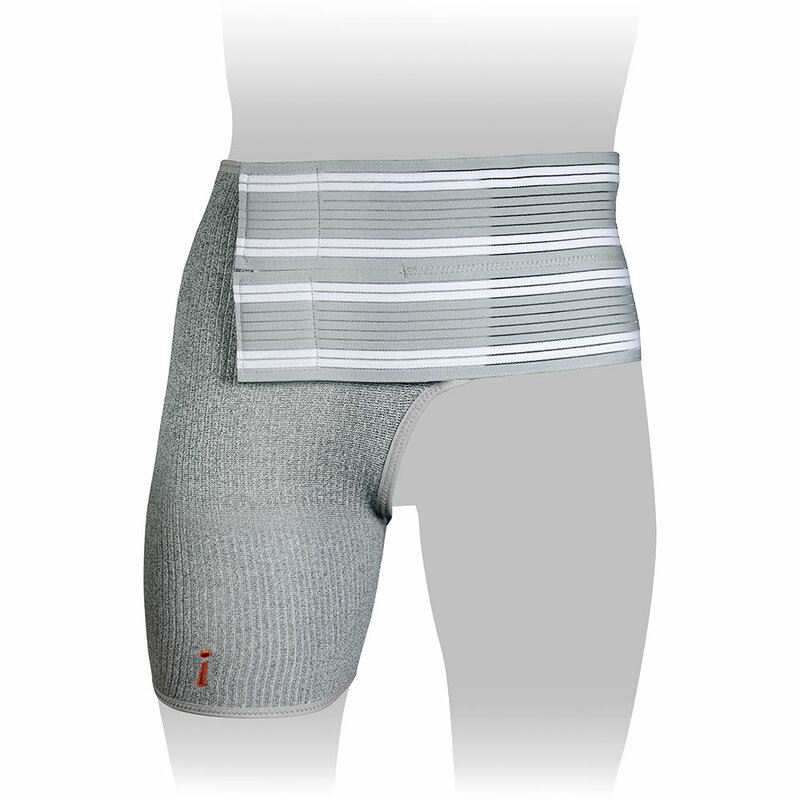 The Active Relief Underclothing Hip Sleeve comes with The Hammacher Schlemmer Lifetime Guarantee. Items that we sell are guaranteed for their normal life under standard non-commercial use.